If I were to take four flights, one lengthy bus ride and a ferry crossing, as well as being broke and jetlagged, I would also be in my favourite place in the world, the mythical Isle of Islay. While my own home state of Tasmania contains many fantastic distilleries, I know that this Hebridean island will forever be: The Whisky Isle. Islay is currently home to eight distilleries, which is not bad for a tiny island with a population that would fit into the MCG thirty times over. 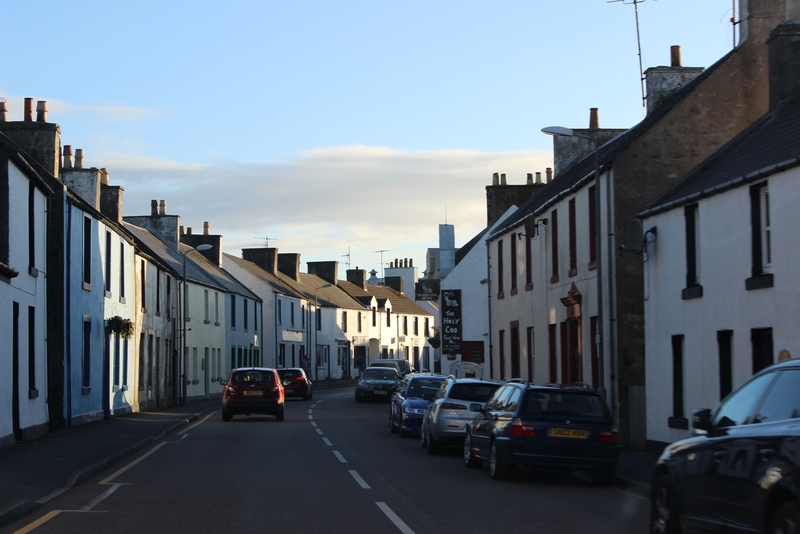 I do of course only speak hypothetically, because in real life the people of Islay would not deign to leave this most wonderful island – not even to attend the Boxing Day Test Match. All eight Ileach distilleries make fascinating, varied and outstanding whiskies. But today I count down my top five favourites, those establishments that have helped shape the Whisky Waffler I am today. Kilchoman is the relative new kid on the block, only in operation since 2005, however the standard of whisky they are creating is astonishing. They take an old familiar flavour and reinvent it, producing something refreshingly new, and yet at the same time distinctly Islay. One sip reflects the traditional Islay flavours that so perfectly accompany winter storms as they roll in off the Atlantic, testing the water proofing of the local cottages, and yet their whiskies are also bright, young, and energetic. They are surprisingly complex, and, most importantly of all, they are improving all the time. Kilchoman is that annoying combination of athleticism and brains: it is the top football star with the chiselled good looks that goes on to become a neurosurgeon. So with this in mind there is no doubt that Kilchoman is a distillery to watch out for in the future. Jim McEwan took over the then derelict Bruichladdich Distillery in 2001 and, after initially being called crazy, has seen it go from strength to strength. Known for its innovation, the distillery creates not one, not two, but three different series of bottlings, all with their unique style. 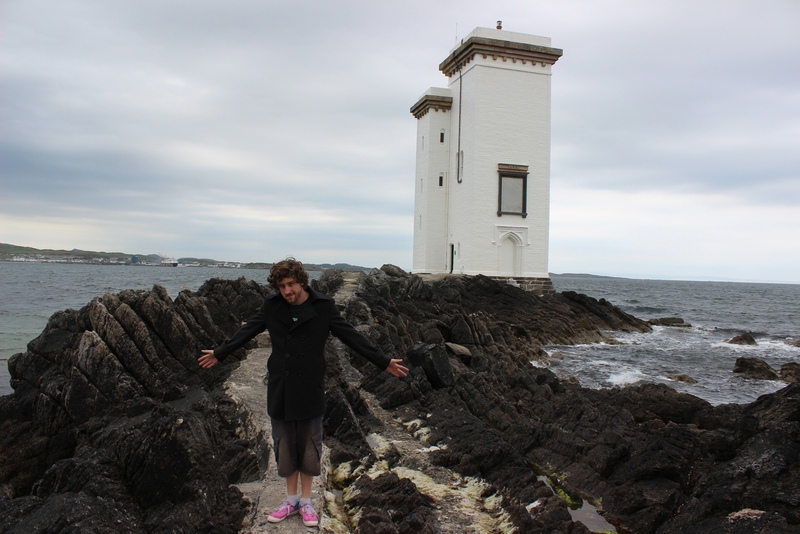 Firstly and foremost are the lightly peated drams produced under their own name, Bruichladdich. Secondly, the more traditional and heavier-peated Port Charlotte, named after the long-since shut distillery that was once based a few miles away. Finally the famous (or infamous) Octomore range, marketed, correctly, as the most heavily peated whiskies in the world. If I were to work at a distillery on Islay, this would have to be it. It combines traditional methods (the may-as-well-be-antique mashtuns) with experimentation (I heard rumour of a tequila cask hidden away in the bond store somewhere). 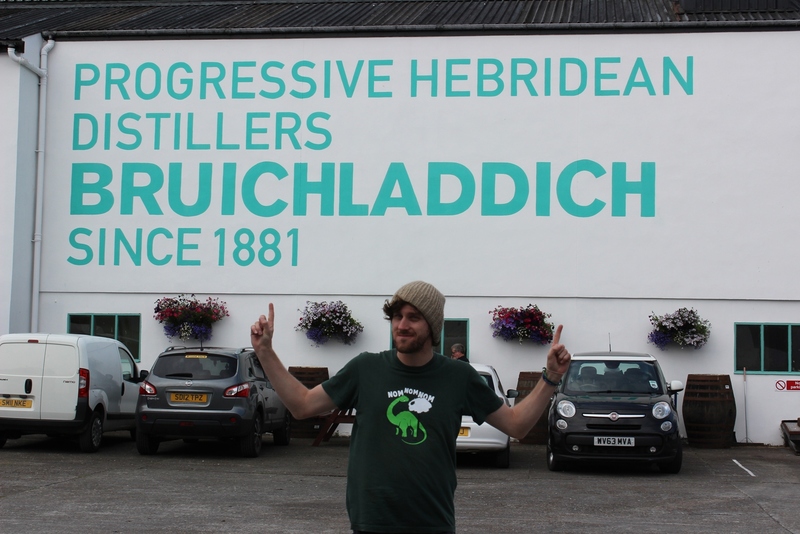 Most of all, Bruichladdich are a community-focused distillery. Jim McEwan has achieved many great things across his career, but he claims the number of Ileach people he employs is the one that fills him with the most pride. When you think Islay whiskies, you think peat – and no distillery on earth does peat like Laphroaig. The whisky produced here may not be to everyone’s taste, but it sure is to mine. One sniff transports me to bonfires, seaside camping trips and, as I discovered later, the sensation of getting out of the car on Islay and inhaling the peat-thick fresh air. The whisky made by Laphroaig is iconic and rightfully among the most famous made on the island. Whiskies made at Laphroaig are unapologetic. If you don’t like your drams peated, run for the hills (if you can actually find any on Islay) as the manufacturers don’t care. I find this attitude appealing however. I know what I’m going to get from Laphroaig and I know that it will comfort me after a tough day at work or celebrate with me as I raise a toast with my friends. While they have the second biggest output of any distillery on Islay, they still conduct traditional floor maltings and fire up their own peat kilns for a percentage of their product. I’ve been lucky enough to stand in the large kilns, and even luckier that this occurred while they were not operating! 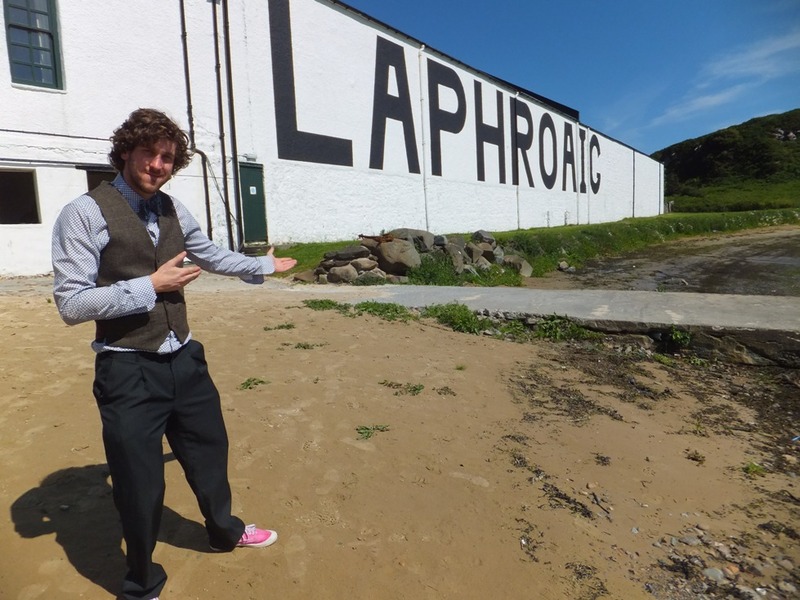 Laphroaig is Islay to a tee and an unmissable stop if you visit the island. First trying the Lagavulin 16 Year Old was a revelation in my whisky-drinking life. What was this spirit that burned like a roaring bonfire in my mouth? What were these charred-fruit flavours that followed? I’d certainly never tasted anything like it and I’ve certainly never looked back. Several years later I have tried a range of peated whiskies and loved most of them. But the Lagavulin 16 is still up there amongst the best. What separates Lagavulin from the rest is a sense of class. 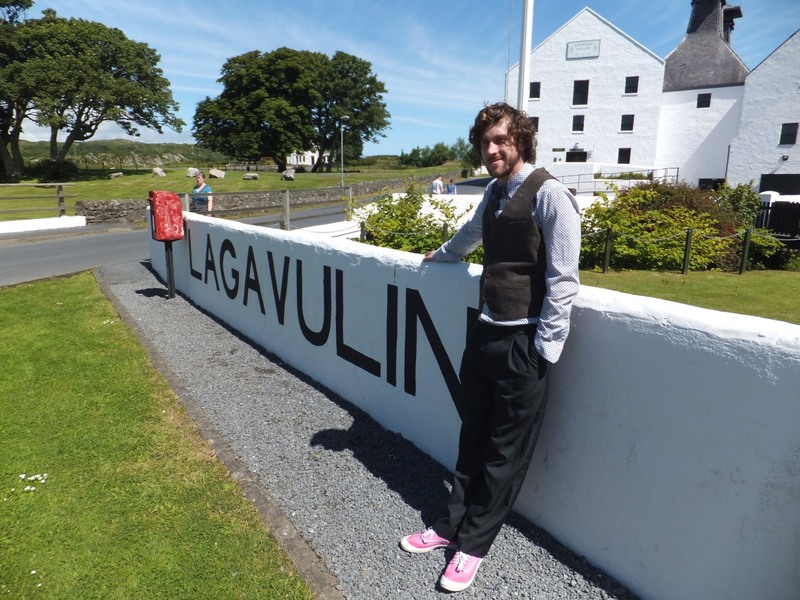 While other distilleries, rightfully, let the wild peat-monster roam free, Lagavulin has it well trained, even walking to heel. With some of the Distillers’ Editions it will even sit and roll over! This allows a magnificent balance between peat and sherry flavours which really sets it up as the classiest of Islay’s whiskies. While all distilleries on Islay offer many brilliant and varied drams, it is Ardbeg that I believe captures the ‘spirit’ of the island the best. With a slab of peat, a splash of history and a smattering of actual magic, you cannot help but fall in love with the drams, the atmosphere and the portrait on the wall of Shortie the Dog, the Ardbeg mascot. Ardbeg are famous for once a year releasing a frustratingly small amount of limited edition bottles which seem destined to sit unopened on wealthy collectors’ shelves. But on the rare occasion you get to try one, you will see what the hype is about: Alligator, Galileo and of course Supernova are all enticingly titled as well as deliciously flavoured. Their regular bottles cannot be forgotten, either. In Uigeadail they have produced a strong candidate for worlds best peated whisky, the Coryvrekkan has one of the longest finishes going around (and around and around!) and as for their ‘entry level’ – is there a finer 10 year old bottle in world whisky? Possibly not. Ardbeg is many people’s favourite distillery. And it is not hard to figure out why. Put simply, it is because it is among the best. This list, of course, is only my (somewhat subjective) opinion. It is by no means definitive. What are your top five favourite Islay distilleries? Let us know in the comments and we will slam you for being wrong! Er… I mean, we will respect your opinion greatly! That’s the one! Well, you’ve got me there, I can’t weigh in, having not tried samples from all eight. Kilchoman and Bruichladdich are yet to be explored. Caol Ila is one I find intriguing for its medicinal quality, kind of like a famous whisky from Skye. Bowmore 12 didn’t blow me away, but haven’t tried the Legend, Darkest or Devil’s cask yet. Ardbeg, yes, we have tried their range & are in awe. Totally with you on Laga 16 & Laphroig. 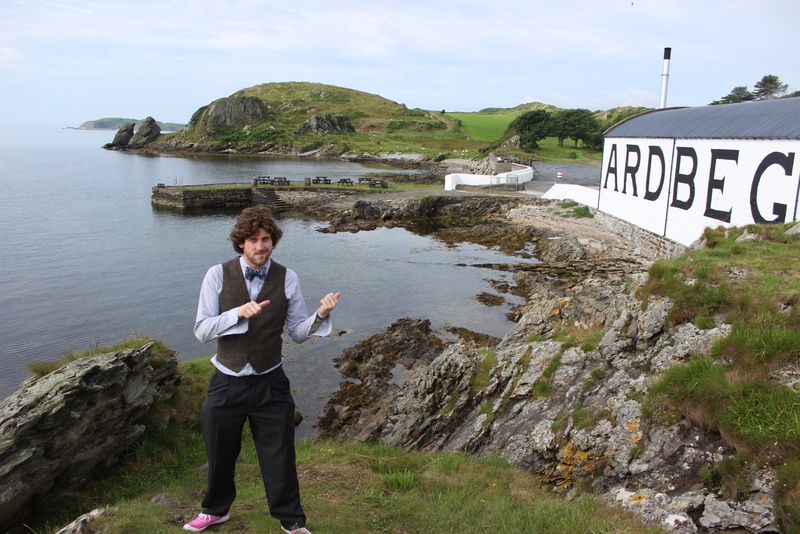 Lagavulin is to me the aging but still stylish gentleman next to the BASE-jumping hotshots at Ardbeg. And there is nothing like Laphroig to burn the chills of a wet winter day from your bones, or to send the in-laws scattering for the exits! Some wonderful analogies. And I must confess, since writing this article, I have procured a bottle of the Bowmore Darkest – and absolutely adore it. It’s in the mould of the Laga 16 – a classy, classy malt. Can I simply agree wholeheartedly? And get away with it? ?